Yehuda Lieberman, LCSW-R, QCSW, DCSW, Mr. has no endorsements yet. Be the first to write one! 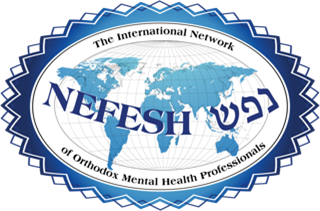 Yehuda Lieberman, LCSW-R, QCSW, DCSW, Mr.
Yehuda is a highly recommended psychotherapist with 20 years' experience. He specializes in depression, anxiety disorders & phobias, and ADHD, and has extensive experience in many other areas of mental health. He works with individuals as well as with families and couples. He works with children, adolescents and adults. He accepts some insurance, and will bill all insurance companies for out-of-network benefits. Yehuda is a published author, and is a regular contributor to the Yated Ne'eman weekly "The Couch" section. His book, Self-Esteem: A Primer, incorporates theories and strategies used in his practice that have helped countless people significantly reduce anxiety, depression, and other issues. "A clear understanding of self-esteem and its role in attaining the optimum of one's abilities is crucial. Yehuda Lieberman's 'Primer' is a great contribution to this goal." "'Self-Esteem: A Primer' is required reading for anyone who is seriously contemplating knowing him or herself more thoroughly. The author successfully provides a step-wise prescription for building and growing the essence of one's self-esteem." "Yehuda has a very thoughtful innovative way of dealing with psychological issues we face in day-to-day life." "An easy-to-read book written for anybody interested in learning about anxiety." Sign in to your therapist account to write an endorsement for Yehuda Lieberman, LCSW-R, QCSW, DCSW, Mr. There are no endorsements for Yehuda Lieberman, LCSW-R, QCSW, DCSW, Mr.